I spent the summer stumping for justice issues around Maryland, and I wanted to fill you in on some of the causes I've been working on. Please take a spin through my journal below, and don't hesitate to contact me with your thoughts. The 2016 legislative session is just around the corner, and there's an endless amount of organizing to do. If you're able to donate $3, $5 or even $25 to support my agenda, I'd be eternally grateful. And of course, please join me as we begin organizing to make advancing justice the Democratic Party's top priority in 2016. 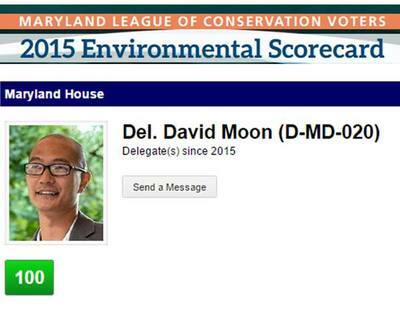 "What I Did Last Summer"
100% RATING ON THE ENVIRONMENT & DRUG REFORM - As my summer got started, I was thrilled to receive a 100% rating from the environmentalists at the League of Conservation Voters. Just this week, I also earned a 100% score from the drug reform advocates at the Marijuana Policy Project, leading them to call me their "House Judiciary Committee champion." I'm proud to take on that label, especially in an era of increasing skepticism over the failed War on Drugs and its lazy use of incarceration to "address" complex policy problems. Ending incarceration for nonviolent offenders and tackling climate change will both be hot topics during the next legislation session. Stay tuned! FIGHTING FOR RENTERS & AFFORDABLE HOUSING - I was shocked to hear from Takoma Park residents this summer who are facing unconscionable rent increases of over 70% (!!!). 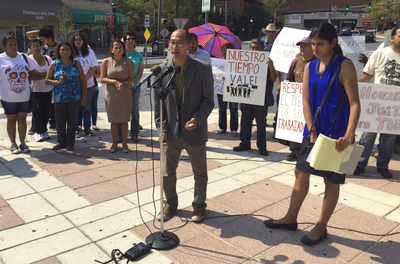 As a result, I stood with the Renters Alliance and CASA de Maryland to try and keep these constituents in their homes. WTOP reported on the consequences of these rising rents: "They’re pleading for help, and getting support from state and local leaders.... Nineteen-year-old Amy Carter has lived with her family at the high rise since she was 2 years old. Now she thinks they’ll have to leave because their rent is jumping up." DEMANDING ECONOMIC JUSTICE IN 2016 - Before the start of the Labor Day holiday, I rallied with hourly workers to make the case for fair work schedules. Too many of our least protected workers are forced to endure constant schedule changes that upend their lives. Indeed, my colleagues and I are planning to push a robust economic justice agenda in 2016. I had a chance to talk to NPR (WAMU) about important legislation that stalled this year that I hope to see advance next session. My wish list of bills includes: 1) paid sick leave, 2) fair schedules for hourly workers, 3) womens pay equity, 4) community college collective bargaining rights, and 5) parental leave. ENDING POLICE BRUTALITY - We left the last legislative session with unfinished business on the topic of police brutality in Maryland. As you are likely aware, the issue later exploded in the public consciousness, due to the law enforcement circumstances that came to light in Baltimore. None of this has escaped my attention, and this summer I checked in on a newly formed legislative workgroup tasked with recommending reforms to address policy brutality. This issue is not going away, and a lively debate awaits us when we return to Annapolis in January. I'll keep you posted on what to expect when the legislative session gets underway and how you can weigh in. CHALLENGING UNJUST DEPORTATIONS - As the U.S. immigration debate rages on with no end in sight, the Department of Homeland Security is once again trying to convert local police departments into immigration enforcement agencies. Montgomery County's police chief has endorsed a new proposal to share information with the feds, in order to facilitate deportation of county residents. The last time Montgomery allowed our police to become immigration agents, the federal government promised they were only targeting violent criminals. But we later discovered that 40% of the people deported from Maryland had no criminal record at all, leading to a rocky relationship between some community members and law enforcement. I confronted the county police department and U.S. Homeland Security agents with my skepticism about their proposal at a recent presentation in the Long Branch community. PUSHING FOR WMATA RELIABILITY & METRO SAFETY - I joined a number of my colleagues this summer to work with Maryland transportation officials to demand more accountability from WMATA. Many of us would like to see the DC Metro system grow its operations, but we are equally eager to see important safety upgrades and reliability improvements move quickly into place. You can read more about the effort through an op-ed from its leaders, Delegates Marc Korman and Erek Barron. PROTECTING KIDS FROM LEAD PAINT - Science has demonstrated for years that lead paint poisoning can have extremely dangerous public health and behavioral effects. But Governor Larry Hogan's top housing official recently tried to water down lead paint regulations by accusing mothers of deliberately trying to poison their kids. In response, I joined with 30 of my House colleagues calling for his resignation (the full letter is available here). The Baltimore Sun wrote about the incident this summer: "Thirty members of the House of Delegates called on Gov. Larry Hogan's top housing official to resign Monday over remarks he made last week suggesting that mothers might poison their children with lead to obtain housing benefits. The lawmakers, all Democrats, sent a letter to Housing and Community Development Secretary Kenneth C. Holt calling his remarks 'incredibly offensive and insensitive to the plight of mothers of children with lead poisoning....' Holt took part in a panel discussion Friday... during which he called for easing the regulatory exposure of landlords in cases where the children of tenants are exposed to lead." ENGAGING WITH COMMUNITY ORGANIZATIONS - Throughout the summer I met with dozens of advocates and community members about issues ranging from child welfare and climate change, to food security and senior services. One of my favorite visits was to a Takoma Park program started by City Councilmember Jarrett Smith called "Lunch and Learn." The summer camp provides students with free meals and educational programs during their vacation months. 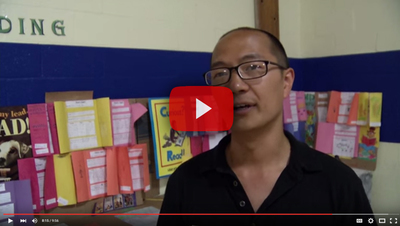 You can find out more about the program in the video below. Kate Stewart for Mayor fundraiser. Photo by Ed Kimmell. STOPPING TO SMELL THE ROSES: It's been an extremely busy and rewarding summer. Somehow I still found time to stop and smell the roses -- but now I'm back to organizing for 2016! A rainbow draped over Takoma Park! Howard Kohn, Diana Kohn, Marie Ritzo, Marlana Valdez, Joseph Eyong, Kate Rhudy, Casey Anderson, Abigail Burman, Jean Athey, Sue Udry, Thomas Nephew, Martine Zundmanis, Usman Ahmed, Jonah Gold, Josh Gruenspecht, Rob Richie & Cindy Terrell, Tina & Don Slater, Lisa Polyak & Gita Deane, former Montgomery County Democratic Party Chair Stan Gildenhorn & more! By Authority: Friends of David Moon. Chair: Marlana Valdez. Treasurer: Usman Ahmed.